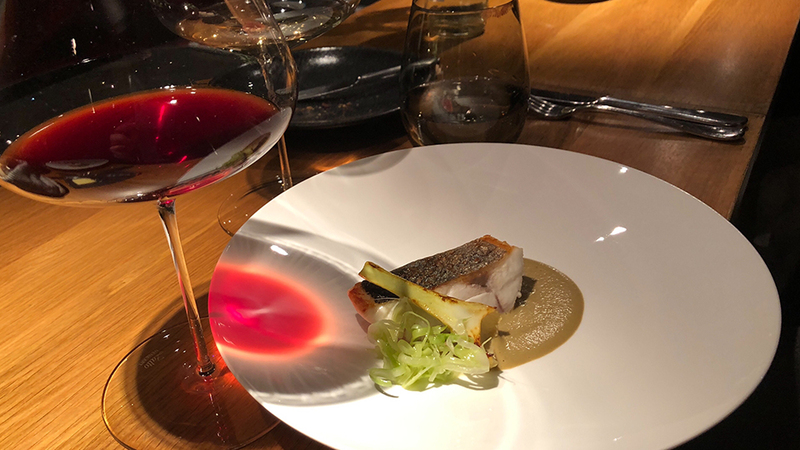 This spectacular dinner at Hedone was a fitting conclusion to an incredible week in London, a city that continues to dazzle with its vibrant food and wine scene. 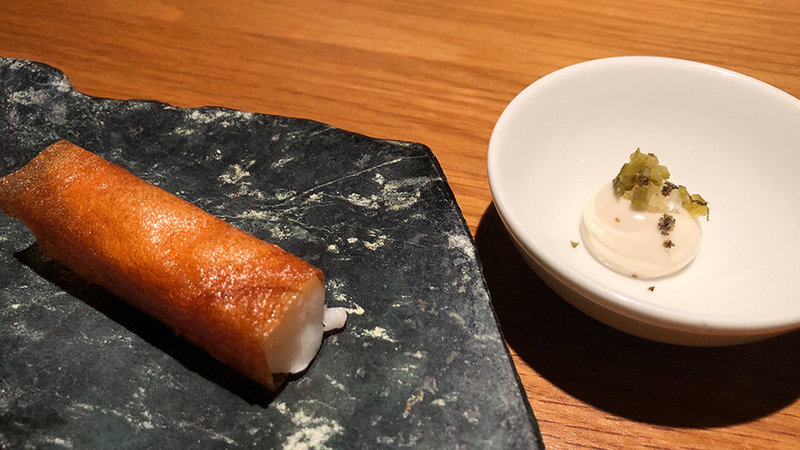 I had wanted to try Hedone for quite some time, as I had heard so many things about this highly regarded spot and Proprietor/Chef Mikael Jonsson. 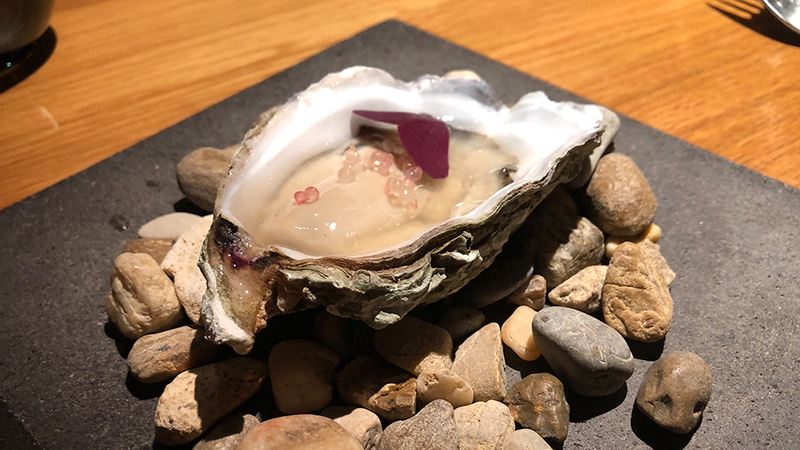 As soon as I made the reservation, the restaurant called to check on dietary restrictions and suggest a slightly earlier time to accommodate the tasting menu format. A high level of attention to detail was evident from the start. 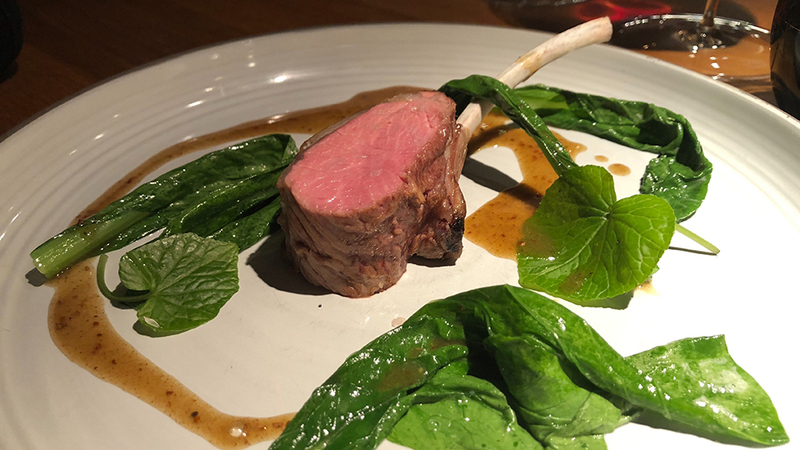 Located about 20 minutes outside of central London, Hedone offers a more relaxed vibe than is the norm at most restaurants of this level. The spartan, open dining room is adorned with just a few tables, minimally set, with no linen, and conceived with understated aesthetic that reflects the approach of the cuisine. We are told that parties of two may be seated at the counter that looks into the open kitchen. With food like this, really, is there anywhere else we would want to sit? No way. Hedone offers two menus; 7 and 10 courses. Given the relatively late hour, we opt for the 7-course menu. We won’t make that mistake again. Every course is absolutely brilliant. Jonsson, soft spoken and unassuming at first, stops by to personally present each dish. After a bit, Jonsson opens up and starts to discuss his views on a number of subjects, including the challenges of sourcing high quality ingredients, to the lost craft of making stocks and sauces from scratch, to his preferences in wine. He is clearly a man with deeply held convictions, and while that kind of personality might rub some people the wrong way, in my view, the world needs more, not fewer, people who are driven by such passion and intensity. 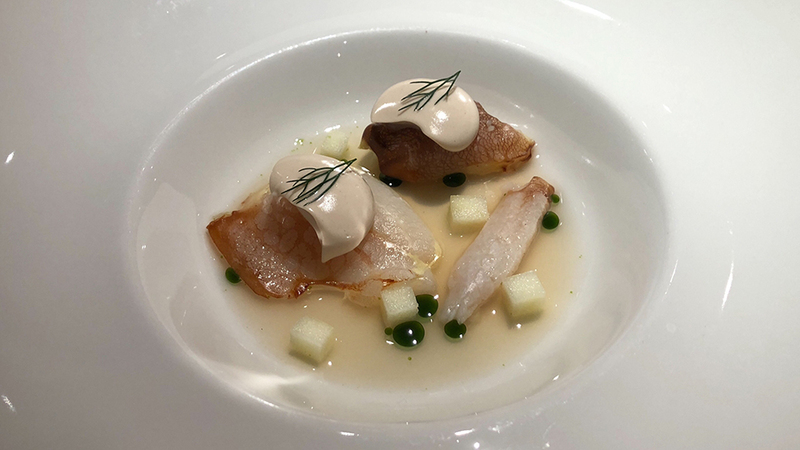 Jonsson’s cuisine is distinctly ingredient-driven, with only a few elements on the plate, each of them given the space to shine. There is no wasted motion or superficiality. Astute readers will note that the menu above is not 7 nor 10 courses. So, what happened? Well, after the lamb, we just wanted to keep eating! We weren’t exactly hungry, we just wanted to experience more of Jonsson’s food. I can’t remember the last time that happened. Do yourself a favor, just get the 10-course menu. Hedone’s wine list is small, but well chosen, with a number of highly appealing selections. As we discover later, there are some wines that don’t make it on to the list, so it is worth asking what might by lying about the cellar. Impeccable wine service and Zaltos add to the total experience. The first courses are all understated. In fact, the cooking generally has a perceptible sense of lightness. The Fish & Chips is a clear homage to a British classic. I also enjoy the warm Devon crab for its interplay of flavors, textures and temperatures. 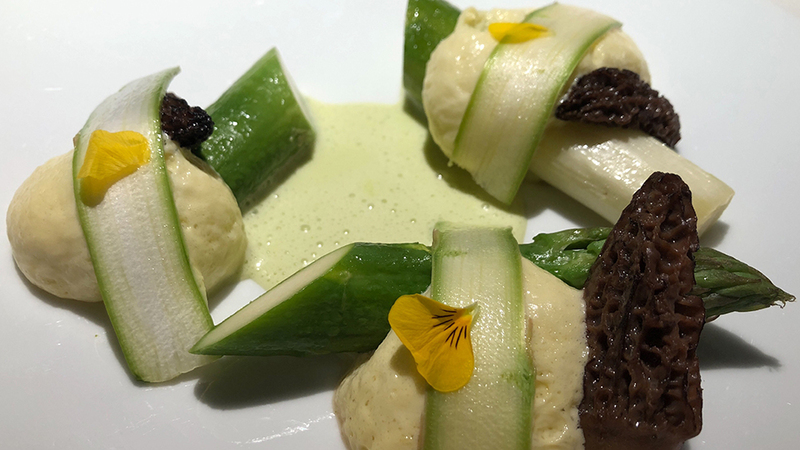 Asparagus and morels are such a great combination in the spring. I have very fond memories of tasting the 2012 Chablis Vaillons with Bernard Raveneau, first from barrel, and then from bottle. Since then, the wine has softened a touch, but it retains that combination of briskness and textural intensity that has always been its signature. Frost, a poor flowering, hail and unusually hot weather lowered yields by about 40% in 2012, resulting in wines with remarkable concentration and density. Even so, there is no shortage of crystalline purity to the Vaillons. Ideally, the 2012 needs a few more years in bottle, but it’s not every day you see Raveneau on a restaurant wine list. We just have to have it. I don’t mind saying we polish off the bottle pretty quickly. Jonsson mentions he has a few reds that aren’t on the list, including the 2001 Gouges Les Saint-Georges. That’s another obvious Yes! I absolutely adore the Gouges wines, especially with some bottle age. Two thousand one is a vintage of reticent, tightly wound Burgundies that have been slow to mature. Frankly, I thought the 2001 Les Saint-Georges would be a bit more forward. Instead, it is bright, aromatically intense, and super-structured, with even more youthful intensity in its red-toned fruit than I expect. Readers who own it should be positively thrilled. What a wine! The Gouges is also perfect with the next courses. Sea bass, served over a purée of green olives, with artichokes and fennel, is impeccable, while the lamb takes things to another level. “What, you aren’t going to eat the fat?” Jonsson admonishes me. “That’s the best part.” So, I eat the fat. And it is delicious. The kitchen swiftly starts moving into dessert mode, but we aren’t really ready for sweets. I am thinking we need more food, especially with a good bit of wine left. I ask Jonsson if he can make one more savory dish. “Let me see what I can do,” he says, somewhat annoyed. A Wagyu filet is offered and accepted. We devour it. 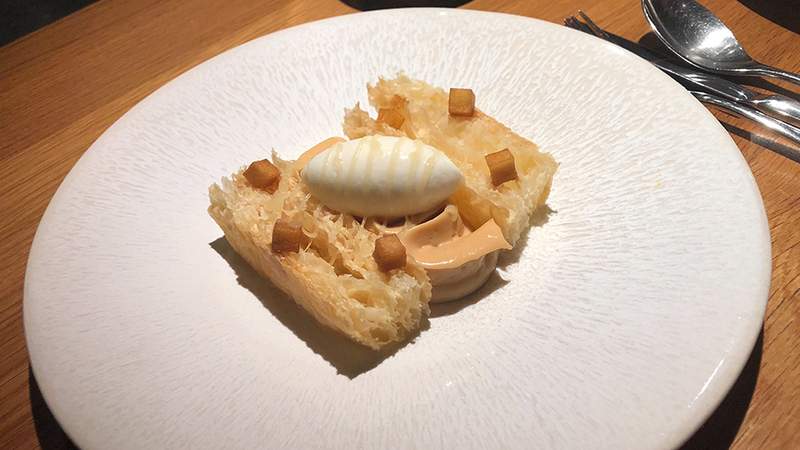 Two desserts are light and in keeping with the general theme of this tasting menu, which emphasizes translucency and extreme purity of flavors. 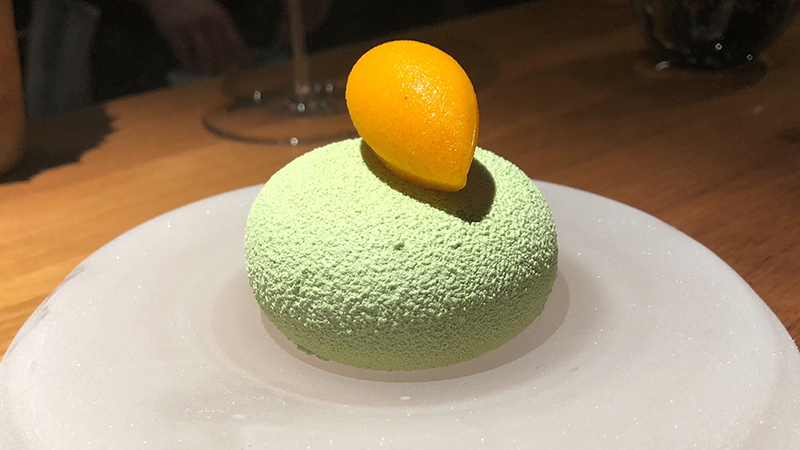 I prefer the matcha mousse to the millefeuille, but I am not the biggest sweets person. The night winds down, the room empties and it is time to go, but not before I start thinking about a return visit. What a fabulous night of wine, food and company.